Hey Pilgrim. 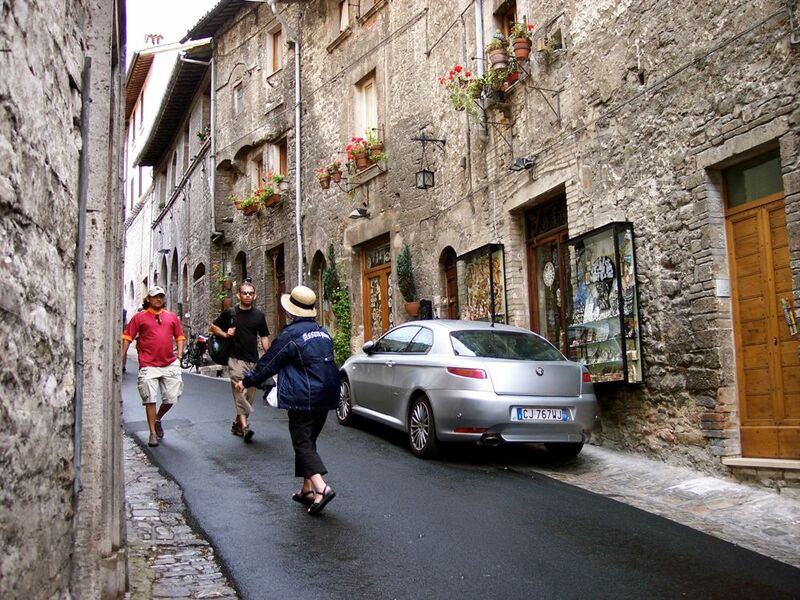 Have you been to Assisi? Every culture has its high ringing bells and the towers that hold them are the landmarks of those people. Mention Constantinople and the ears of the world await the next sentence. Say London and the memories of half the countries in the world are stoked to life. Paris or Rome and the bells ring again. Beyond that, are words like the Taj Mahal and the Great Wall which even people who know nothing of them hear a distant bell calling their attention. 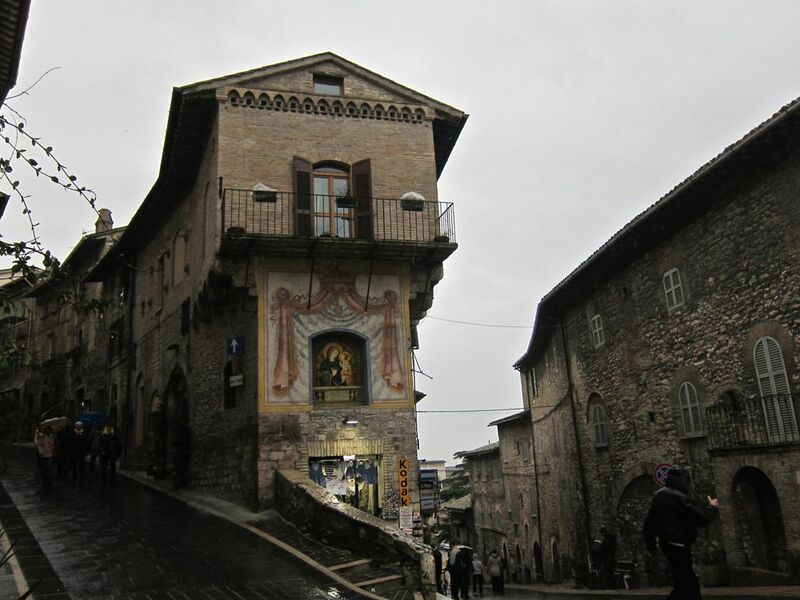 Assisi is one of those great bell ringer words that summon up images around the world. St. Francis was a mythic figure and the image of his values exists in almost every culture and inside most religions. The current Pope's references to Assisi have rung the bell towers of the world so the journey to Assisi is an experience shared in wonder by most cultures and religions. The town's streets are filled with signs in a hundred languages. The square of the Basilica is hushed though filled with pilgrims and visitors from around the world. If it's possible, you should always drive yourself to Assisi, because the journey sets the stage for the history that would soon unfold. Rugged tree covered hills with tiny villages poking through the greenery create the perfect medieval imagery for the homage to St. Francis. 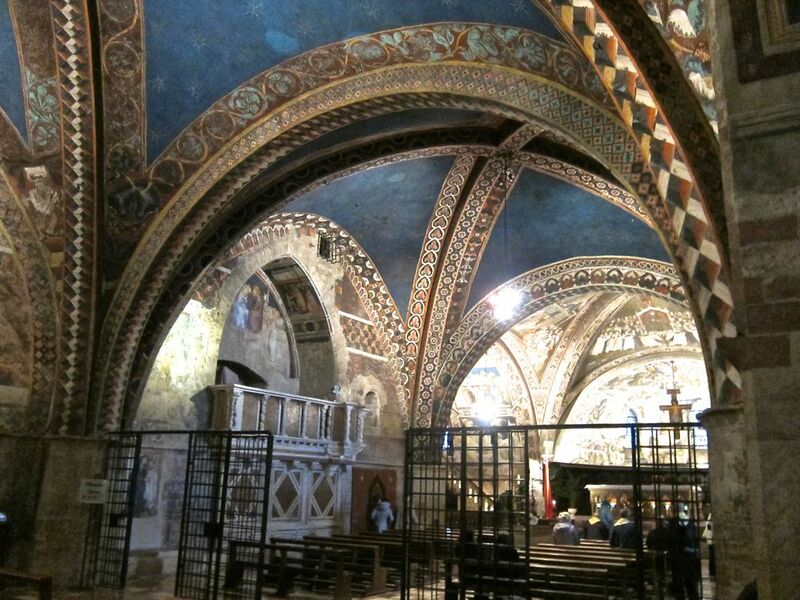 It was here in Assisi, in the winter of 1181, when St. Francis was born to a cloth merchant family. This event, hardly spectacular at that time, changed the course of this remote medieval town. Nowadays, buses of pilgrims frequent the destination to pay homage to the son of Peter and Giovanna Bernardone. It was in the little church of St. Damian where the privileged Francis was struck by a very strong conviction to give up everything and live a life of poverty. Little did he know that his desire sparked a similar fire in the hearts of millions and today, the Franciscan order and all the other orders that sprang from it, both male and female, are spread all over the world doing work to better the plight of the poor. It's a joy to walk the streets of the village where this all started. This Basilica of St. Francis, on March 25, 1754, was declared a Patriarchal Basilica and Papal Chapel by Pope Benedict XIV making this on equal plane with the major Roman basilicas like St. Peter's. St. Francis Basilica is not only endowed with spiritual treasures but also artistic as the artists and skilled friars working on this outdid each other in the beauty of their work. Thus, this basilica is a monument to Italian architecture, decorative art and lapidary work. Add to these the 13th and 14th century paintings that decorate the walls. Take time to enjoy these art works when you get there. This is where St. Francis' body is interred. It was in May 25, 1230 when his remains were placed in a stone sarcophagus embedded in the solid rock beneath the main altar. According to a legend popular among the people here, St. Francis, who considered himself the worst of sinners, chose this place where sinners were publicly executed as his burial place. Pilgrims all over the world flock here to pray to this Saint who made famous the Prayer for Peace. In another Church named after her, St. Clare, the foundress of the Poor Clares is also buried. These two figures so prominent in the medieval Church account for much of the draw of this stunning town. The first time I went was with a busload of students doing a 30-day pilgrimage across much of Europe. Although we saw numerous landmarks, Assisi stayed so strongly in my memory that the next time I was in Rome, I booked a day trip. I had a chance to really go through the Basilica but I had to visit a third time to see the other treasures like the Church of St. Clare and the medieval town of Assisi. My husband drove and as we approached the town on the hill, the steep climb was worth it. We stayed overnight so we had a chance to explore the town and imagined ourselves living there with the cloth merchant family, the Bernardones. 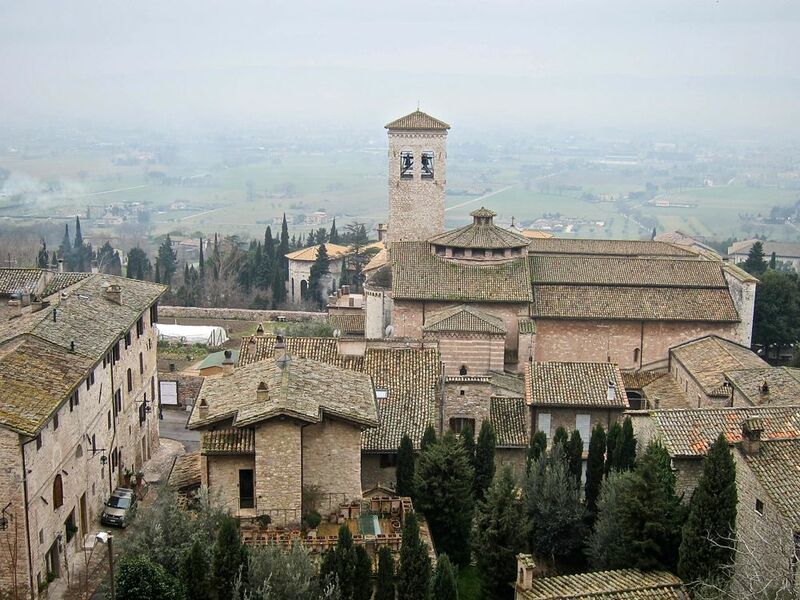 Visit Assisi and it will become another great bell that rings in your memory.